HARD RAIN: What’ll You Do Now? 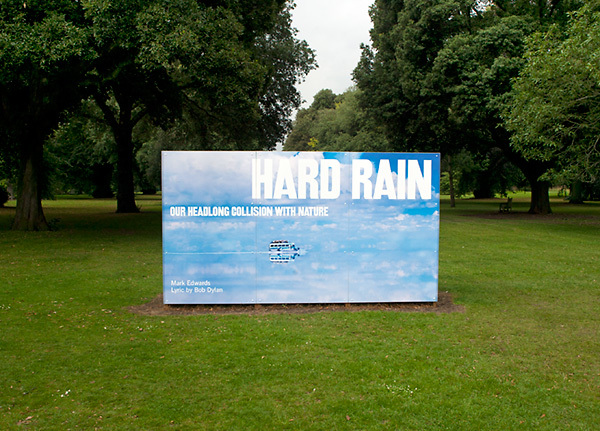 Mark Edwards has used his original Hard Rain Project set of images as the core element of a new project that considers how we can as individuals and as a society can move towards a sustainable future for the Planet. Kudos to the management of Kew Gardens for allowing some “difficult” images amongst the beauty of the gardens, in my opinion this raises their profile as a conservationist organisation and the garden location is exactly the right place for thousands of people each day to consider the issues raised. Photography is at its best when it combines passion with meaningful subject matter and this exhibition has plenty of both. I recommend you visit the site or exhibition as it travels the world. 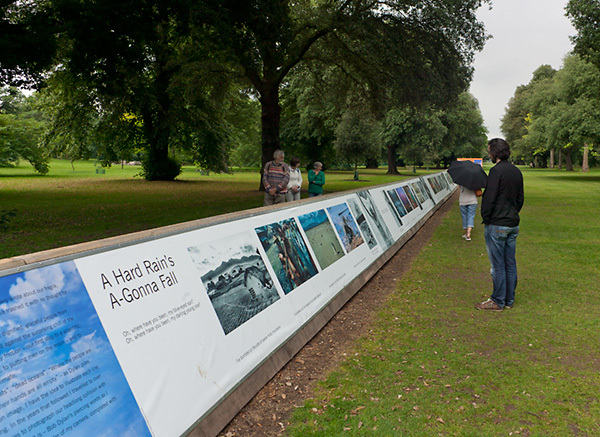 I have worked with Mark to help prepare the images for printing for both this outdoor exhibition as well as for the book and Audio Visual uses. Careful colour grading and consideration of Marks preferences for tonality means that the exhibition has a consistency of vision in the printed results. Image restoration was part of the work undertaken to allow for the enlargement of low resolution images to 1 meter or more, I was always careful to keep the veracity of the underlying image and keep the image pure whilst reducing noise, chromatic aberration and other artifacts that would have impeded the message or meaning of the image coming through. If you are planning a book or exhibition and have material from multiple sources it will always pay you to have me look at the material and quote on preparing the files for greater clarity and consistency and give greater readability to the work.